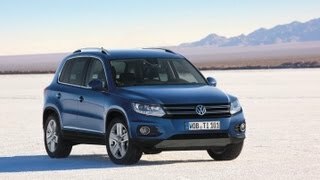 In case you're looking to buy a practical SUV then the Volkswagen Tiguan 2012 is one of the best choices currently available on the market. The Tiguan offers great safety features; on-road and off-road variants, great fuel efficiency, 1,510 liters of cargo space and seven engine versions. 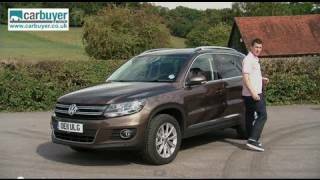 Under the hood the Tiguan offers three diesel engines and four petrol engines. While all three diesel engines have a capacity of 2.0 liters, the power varies from 110 PS to 170 PS, with a 2.0 liter 140 PS in the middle. The four petrol engines consist in two 1.4 liter units developing 122 PS and 150 PS respectively, and a couple more 2.0 liter units with a power output of 170 PS and 210 PS. As standard the Volkswagen Tiguan comes with a 6-speed manual gearbox but two more transmission types including a 6-speed automatic and a 7-speed DSG dual-clutch are available are optional extras. To increase fuel efficiency the BlueMotion variants come with a Start/Stop system as a standard, and as a result a four-wheel drive version of the Tiguan sporting a 2.0 liter 140 PS TDI unit has a fuel efficiency of 5.9 liters/100 km, making it one of the most fuel-efficient SUVs in the world. Furthermore, the same engine can yield 5.3 liters/100 km fuel efficiency in the front-wheel drive variant. As mentioned before, the Tiguan comes in two different variants destined for either on-road or off-road use, and whilst the on-road variant has an 18 degree angle of approach the off-road version now features an angle of approach of 28 degrees. Furthermore the off-road variant now offers the same level of equipment as the on-road variant. 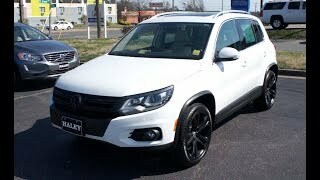 The Tiguan always offered great safety features and the 2012 model has been improved even further in this segment. With the new model Volkswagen included features such as Fatigue Detection, Dynamic Light Assist, Camera based beam control system Light Assist, Lane Assist and the XDS electronic differential lock. 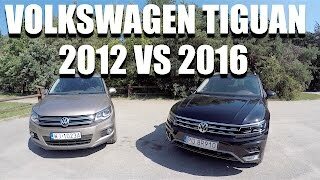 As for its price tag the Volkswagen Tiguan 2012 has a base price of $22,840 which considering some of its competitors it's not a bad price, reason why the Tiguan has been one of the best-selling SUVs for years in a row, with a total of 700,000 units being sold worldwide since the first model debuted back in 2007. Nevertheless in case you're not finding the Tiguan to your liking you can also choose between an $18,500 Kia Sportage, a $21,990 Mazda CX-7 or a $25,560 GMC Terrain.